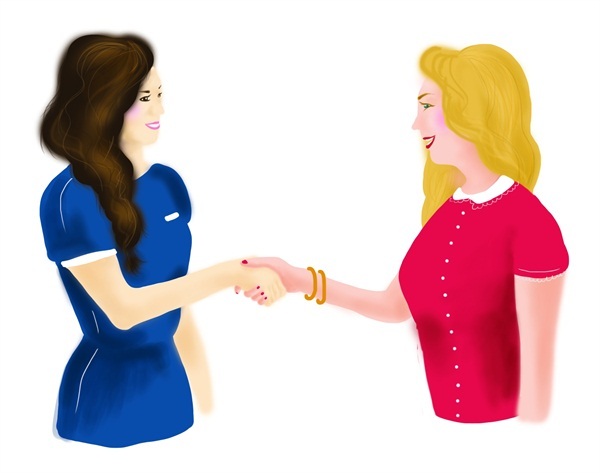 Crowdsourcing: What is the best way to find great employees for your salon? great employees for your salon? I find great help by contacting a local, well-trusted beauty school directly. Over the years, I have built great relations with the job placement department personnel there. I also talk to our existing employees when I’m looking to hire a new nail tech, as they usually have suggestions or can recommend friends or former co-workers from previous jobs or cosmetology school. I also have put the word out via Instagram and Facebook when we’ve been looking to hire. When I search for a nail technician to work in my salon, I look for someone who is passionate about nails because, like with anything, if someone is in it only for the money they will be miserable and clients can sense it. Another thing I look for is excellent customer service; there’s nothing that satisfies a client more than making her feel good by valuing her with promptness, respect, and good hospitality. I have to admit that finding great nail techs has been by far the hardest task since I started managing a salon. Yanin Moreno, La Isla Bonita Nail Salon, Sarasota, Fla. The process of hiring employees in my area, Orange County, Calif., has been terrible. I have owned my own salon as well as worked this last year as a salon consultant, scouting out and hiring new nail techs. It is very difficult because in our county there is only one nail school that is training and educating nail techs. This means there are very few nail artists coming into our industry locally. My best strategy has been to create colorful, cute flyers and take them to various nail supply houses to post them. I received a lot of feedback and possibilities that way. I advertise on Craigslist with photos of the salon and the nail art that we do to help draw the eye to my ad before any other salon. I also advertise online and in a printed version of the Vietnamese newspaper’s classified section. All of these places have helped. However, I can honestly say that there is a huge lack of candidates to choose from in my area. Jae’tte Burneo, HotPinkPolish, Laguna Beach, Calif.
I’ve found that the best way to attract great employees is by referrals from existing ones. If your employees are happy and making money, they will tell their friends. Also, giving the potential employee a tour and making her feel that she will contribute to the success of the business is a good way to make her feel great about herself and about being part of a winning team. What important life lesson has doing nails taught you? [Answers will be printed in the August 2015 issue.] Share your opinion on the topic by e-mailing your response by May 15 to [email protected] Please include your name, salon, city and state, and a high-resolution headshot with your response. You Might also Like:Crowdsourcing: What is the sweetest thing a client or co-worker has ever done for you?